Are you cashing out online gaming industry via affiliate offers & campaigns? Do you want to earn some extra bucks on your Affiliate Marketing and make your life easier by earning commissions from the gaming industry? If yes, then affiliate Marketing in internet gaming industry is the right choice for you to earn as much as you want just by sitting at home and enjoy a cup of coffee in this cold winter season. To start earning as an affiliate in the internet gaming industry you need to have in-depth knowledge about affiliate marketing, its do’s and don’ts. If you want to gain knowledge and become an expert in affiliate advertising then you should attend The First Prague iGaming affiliate conference in Czech Republic brought to you by Smile-Expo. Smile-Expo has taken huge effort to bring online gaming industry experts on a single platform to impart knowledge on how to work in affiliate industry with gaming offers. This will be a once in a lifetime opportunity for newbies to attend this conference and collect as much information as they want. It’s time to fill your treasure chest with golden words from gaming industry experts and start earning real money and make lots of gold. The international Smile-Expo company is hosting the Prague iGaming Affiliate Conference on April 18, 2019, at Hotel Grandium, to discuss the major prospects of online gaming and keen aspects of affiliate marketing. Smile-Expo has been organizing some big events over the past 12 years so don’t expect anything less this time as you will find experts and new business partners for enhancing your online business in the internet marketing industry. Why should you attend the Prague iGaming Affiliate Conference? The first Prague iGaming Affiliate Conference, the event about marketing in the gambling sphere from Smile-Expo, is approaching. Don’t miss the unique offer from the organizer: tickets to the conference at half price! The capital of the Czech Republic will host the super event for affiliate marketers in the iGaming industry. The organizer, Simile-Expo company will gather all internet marketers, arbitrage experts, and online casino operators, investors under one roof. The event will have two parts (Conference and Demo zone). 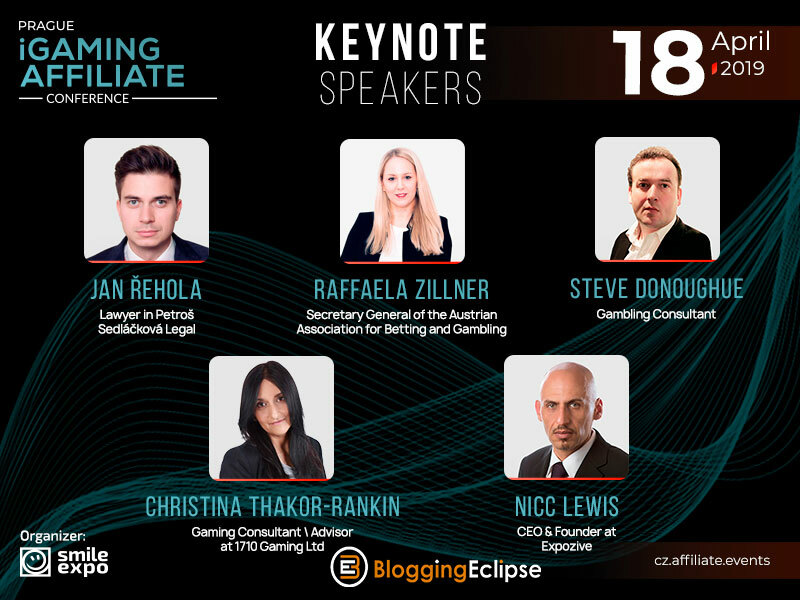 The highly informative conference will enable you to learn and gain knowledge of online iGaming business, online gambling industry, etc., It will bring well-known lawyers and CEOs as well as state authorities at one place. Establish business contacts with investors and other companies at demo zone. It’s a special place gathering companies for the iGaming Sphere – marketing agencies, casino operators, software developers, affiliate networks, and other legal enterprises. iGaming Affiliate conference will kickstart on 18th of April 2019 with an energetic welcome speech starting at 10:50 AM at Hotel Grandium, Prague. The event’s program includes conference, demo zone and three-panel discussions, where groups of experts will talk about the main industry’s aspects. the current state of gambling regulation in Europe. The program will be followed by workshops, speeches from industry experts in iGaming an Affiliate marketing industry, open panel discussions, networking time and by visiting the meet the Market. Engage users by writing proper content and develop strategies to not to lose the users. Learn how to generate the required traffic. The format of the event is amazing as it comprises of a conference + demozone to unite online gaming specialist from various parts of the world. The first half of the program comprises of a welcome speech by the moderator and then an expert speaker giving tips on how to generate required traffic and how to use apps to generate traffic with its features. The experts will talk about strong strategies that are required in affiliate marketing which most of the affiliates don’t pay attention to. There a big future in iGaming affiliate marketing for the affiliate marketers and if you want to know the reasons then this event will tell you how. You will learn to grow your online gaming affiliate business by knowing about the right affiliate networks and best resources and tools to optimize your traffic to the maximum. Then the session will continue after a lunch break with refreshments to keep you alive and happening. For any business whether online or offline, it is important to know about regulation and laws following which will succeed you in your business and not following will put you in prison. So know about the regulation of eSports in the Czech Republic and other countries. Online Casino is going to expand in Czech Republic so don’t miss out the future landscape of Czech Casino. Know about the trends and technology in the gaming industry and don’t be unaware of the innovation in the online gaming industry. The gaming market is becoming tougher and competitive hence you need to emphasize on the strategies and stay ahead of your competitors. There will be lots of hurdles and big challenges when you step in the online gaming industry so grab the hidden pearls and be persistent with your performance because that will result in massive ROI. After the speakers deliver their speech you will get time to interact with the profound speakers and experts from various affiliate industry. You can grow your business by meeting new companies and start your online gaming business right away. There’s no time left so buy one ticket for yourself and tell your friends also as the price will go higher as the date approaches the deadline. Right now you can get the conference ticket for 5000CZK which includes complete access to all the speaker sessions and conference, visit the demo area, a coffee break, speed networking, and handout materials. You can connect with this event in three ways: Become a partner, sponsor or a participant. By becoming a media partner you can cover the insights of this grand event and show videos and images to your audience and keep them engaged. By becoming a sponsor you get new opportunities to establish new partnerships and prove yourself to be an industry leader. By becoming a participant you can showcase your products at this event and you never know if you could find a solid investor and partners. iGaming may be a new term to many affiliates but we will explain in short why it has become so much popular among big affiliates and why most of the affiliates are joining iGaming to earn a livelihood. The iGaming is like bet or some other form of result of a game that can be played online using internet. Games like poker, sports betting and casino games have filled up the online gaming market. Malta is a gambling hub for online gaming industry and is increasing every year. Online gambling contributes maximum for the economic development of Malta by granting gambling licenses to online gambling operators around the world. With top affiliate programs, advertisers get a chance to attract new customers and affiliates get paid for their efforts to promote such offers. Some of the top affiliate programs for online casinos to look for in 2019 are listed below. Choose wisely and generate huge revenues. Lucky Partners: Get lucky by joining this popular online casinos affiliate program that collaborates with 12 gambling platforms and opens the gate for several partnership options. One of the best affiliate programs that uses a hybrid model to make a profit and so affiliates receive $50 for user registration. Good payouts make this affiliate program one of the most preferred ones. VLK Partners: In this affiliate program you get to pay with two products: Vulcan Platinum and Vulcan Russia. This affiliate program offers several ways to promote online casino wherein affiliates can earn either by placing ads on social media accounts, create banners and newsletters. Internet marketers working this affiliate program get reward either by choosing a Revenue Share model or based on the user action on the gambling platform. Affiliate conferences and summits are the best way to gain knowledge and engage in panel discussions with industry experts. Internet Marketing is all about strategy, social engineering and reading audience mindset. Internet Marketers need more selling and marketing skills rather than technical skills. Affiliate events are most beneficial where you learn new skills, negotiate with affiliate networks, get to know about new technologies and learn a lot of strategies. One can meet industry friends, to scale your online business to the next level. Wish you success in online marketing and let us meet up on April 18th, 2019 @ Prague iGaming Affiliate Conference. 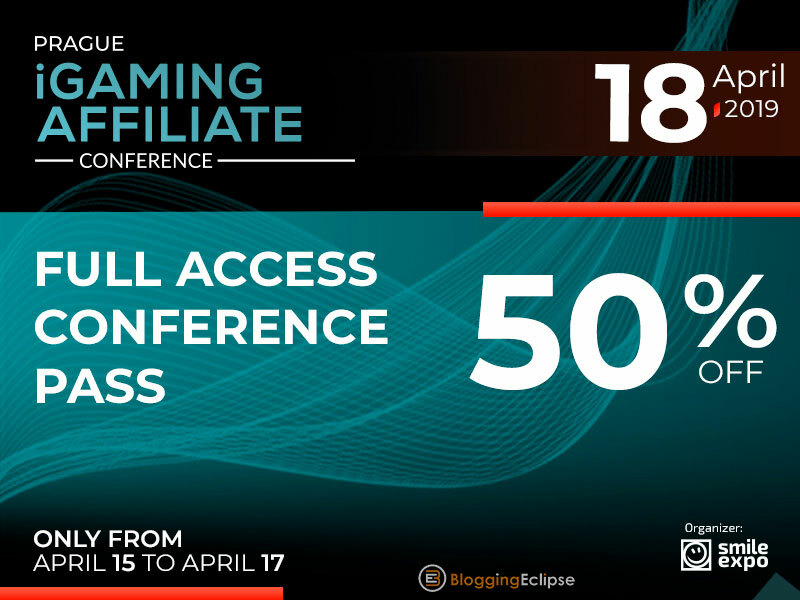 Prague iGaming Affiliate Conference is an undoubtedly super event for Affiliate marketers & internet marketers working in the online gaming industry. Speakers from various niches, Pro knowledge sessions, B2B meeting with clients and partners are all set on this conference. See you at Prague, Сzech republic on April 18!